Following the severing of relations between Qatar and several Middle East countries, Egypt has given the Qatari ambassador 48 hours to leave the country, according to a spokesman for the country's foreign ministry. Some Egyptian banks have also ceased dealing with Qatari banks, according to reports. Meanwhile, the UAE's Fujairah port says all vessels flying Qatari flags and vessels heading to or arriving from Qater will not be allowed to call at the port, according to Reuters citing trading sources. Also, Qatar's stock market is under pressure today on the news. Qatar's stock market tumbled more than 7 percent on Monday as six of the Middle Eastern country's neighbours reportedly cut diplomatic relations with Doha. 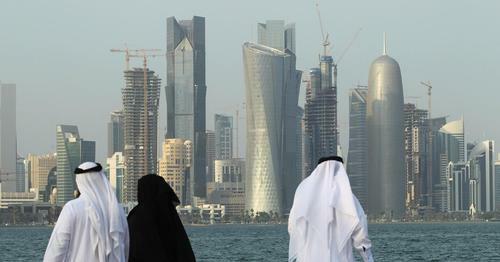 Several Middle East countries, including Gulf states Saudi Arabia, the UAE, Bahrain, as well as Egypt, have severed diplomatic ties with Qatar. They have cited the need to protect their states from the "dangers of terrorism and extremism." 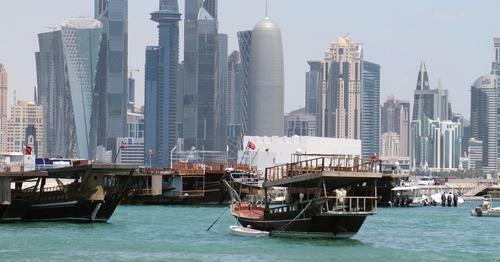 The Qatar foreign ministry has said it regrets the decision by other Arab nations to suspend diplomatic ties. This according to Al-Jazeera television. Reuters reporting that the foreign ministry has also claimed that other Arab nations are "imposing guardianship" on Qatar. Saudi Arabia, the United Arab Emirates, Bahrain, and Egypt have all ended contact with Qatar accusing the country of state-sponsored terror. Meanwhile, it is being widely reported that Etihad Airways will suspend all flights to and from Doha until further notice. 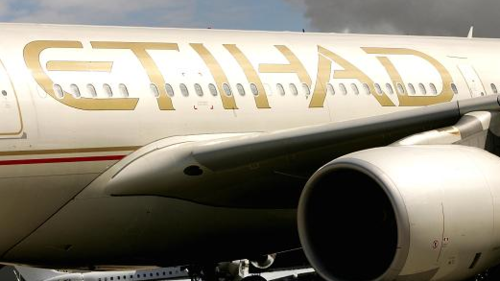 The company says the last flight from Abu Dhabi to Doha will depart as EY399 at 02:45 (local time) on 6 June. Hadley is live on air from Dubai. She says if Arab states are not talking to each or allowing access to air space it could cause an issue for countries such as the United States who base themselves in Qatar. Hadley says the Saudi's feel like "they have a bone to pick with Qatar" due to allegedly supporting Islamist movements and one side coverage of news channels based in Doha. Qatar is set to host the World Cup football tournament in 2022. Saudi Arabia and three other nations broke diplomatic relations with Gulf Arab state Qatar on Monday, pointing to Doha's ties to terrorism. Riyadh ended all land sea and air contacts with Qatar, and the United Arab Emirates, Bahrain, and Egypt also cut ties with Doha. The coordinated move escalates a dispute over Qatar's support of the Muslim Brotherhood, the world's oldest Islamist movement. Saudi Arabia accused Qatar of backing militant groups and spreading violent ideology through channels such as its influential state-owned satellite channel al-Jazeera. (Qatar) embraces multiple terrorist and sectarian groups aimed at disturbing stability in the region, including the Muslim Brotherhood, ISIS (Islamic State) and al-Qaeda, and promotes the message and schemes of these groups through their media constantly. U.K. Prime Minister Theresa May vows to crackdown on Islamist extremism after 7 people are killed and 48 injured in a terrorist attack in the heart of London on Saturday night. Saudi Arabia, the UAE, Egypt and Bahrain cut ties with Qatar, accusing the Gulf state of funding terrorism and meddling in their domestic affairs. Sterling comes under pressure but the general election will go ahead. Campaigning resumes as leaders from both sides are accused of politicizing the attacks. Facebook pledges to make itself a 'hostile environment' for terrorists after Theresa May says extremist ideology is using the internet as a space to breed. Two more raids have been conducted in East London this morning, in addition to the twelve arrests that were made in the same area following the terror attack in the center of the city that left 7 people dead and 21 in critical condition in hospital. 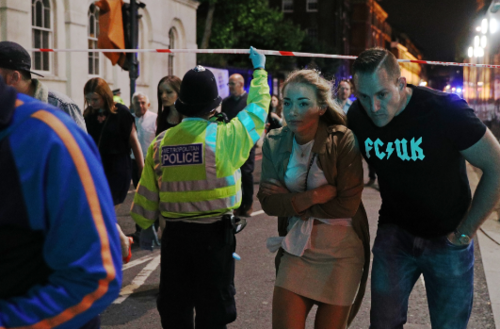 Saturday night marked the third extremist attack in the UK in as many months. 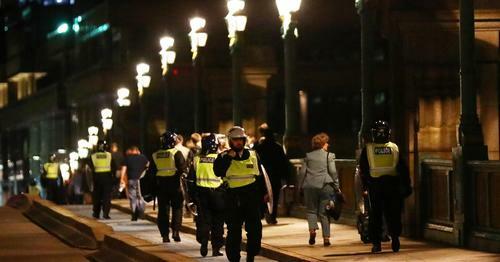 Members of the public are led away from the scene near London Bridge after a suspected terrorist attack on June 4, 2017 in London, England. Two more raids have been conducted in East London this morning, in addition to the twelve arrests that were made in the same area following the terror attack in the centre of the city that left 7 people dead and 21 in critical condition in hospital. British police killed the three terrorists within 8 minutes of receiving the first call but some have suggested the force needs even more firepower. 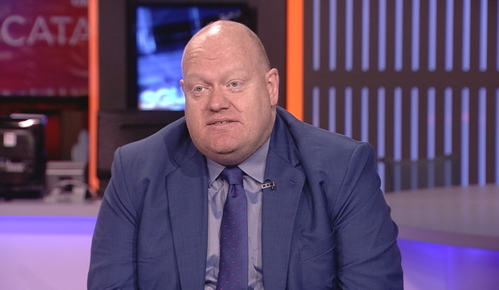 David Lea, Senior analyst for Western Europe at Control Risks is on set to discuss the attack in London on Saturday night that has so far claimed 7 lives. Lea pointed out that it is not simply a matter of arming officers but a whole culture of training that would need to be implemented and paid for. On Sunday The U.K. leader Theresa May called for an end to the tolerance of extremism and said it was time to impose British values. Defeating this ideology is one of the great challenges of our time, but it cannot be defeated by military intervention alone. It will not be defeated by the maintenance of a permanent defensive counter-terrorism operation, however skillful its leaders and practitioners. It will only be defeated when we turn people's minds away from this violence and make them understand that our values, pluralistic British values, are superior to anything offered by the preachers and supporters of hate. US President Donald Trump has expressed his solidarity with the UK in the wake of the attack. He described the events at London Bridge as 'evil slaughter' and pledged to do whatever is necessary to bring an end to the bloodshed. President Trump also took to Twitter to criticize London Mayor Sadiq Khan's attempts to reassure the capital's residents following the attack. 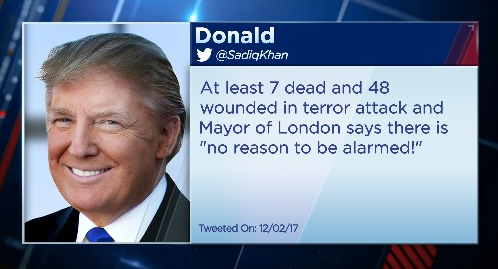 The President tweeted: "At least 7 dead and 48 wounded in a terror attack and the Mayor of London says there is no reason to be alarmed!" The mayor's spokesman said he was too busy to respond to what he described as an 'ill-informed' tweet. A crisis response committee, chaired by the British Prime Minister Theresa May, is to take place this morning. This, of course, in relation to the London Bridge attack. The meeting is due to begin at around 08:30 BST. 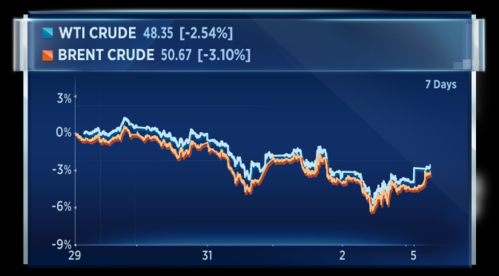 Oil may have ticked up today, but the recent trend has been lower despite attempts by OPEC members to talk the price up. James Carr, the Minister of Natural Resources for Canada is with CNBC's Eunice Yoon in Beijing. 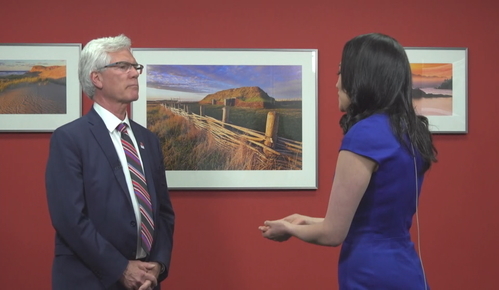 Carr is talking clean energy and he says the recent announcement that the U.S. will not adhere to the Paris climate change accord is disappointing. But he says despite that news he expects America to continue to work towards reducing its carbon footprint. 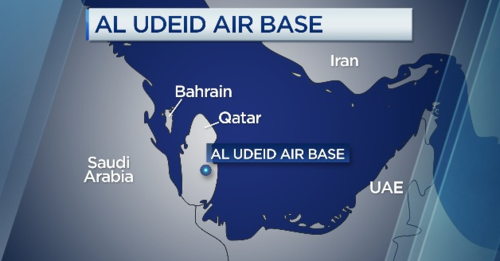 More on the detail of that move by several Arab countries to target Qatar. CNBCSaudi Arabia broke diplomatic relations and all land sea and air contacts with fellow Gulf Arab state Qatar on Monday, citing terrorism. 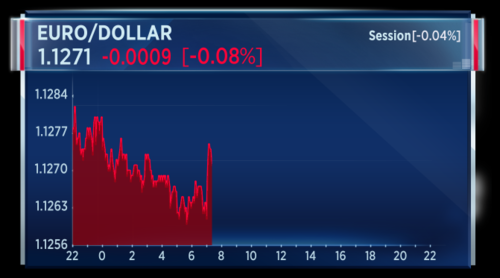 Sterling comes under pressure but the general election will go ahead. Campaigning resumes as leaders from both sides are accused of politicising the attacks. President Putin loses his cool in a fiery interview with NBC's Megan Kelly, saying he does NOT have any compromising material on President Trump. Sterling has come under further pressure after this weekend's attack, as polls continue to tighter ahead of this week's election. 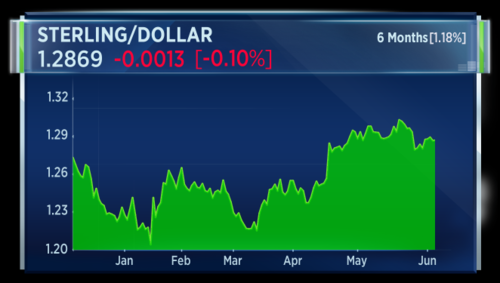 However, sterling versus the dollar is still up more than one percent over 6 months. On set Geoffrey Yu of the UBS wealth management team says judging by cash ratios that his clients are staying invested in the U.K. story. 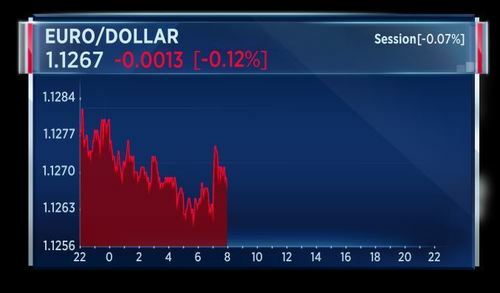 The head of the U.K. office at UBS wealth management Geoffrey Yu says he is comfortable that the euro will move higher against the dollar. The former FX analyst notes that from this stage forward it is harder to see hawkish upside from the Fed than it is from the ECB. He qualifies that by pointing out that ECB president Draghi will quickly douse any euro fire if he feels it is being overvalued by the market. She didn't need to do this and it looks now as though she has been faulty in her judgment and this could count again her in the polls and in her negotiations with Europe. - David Marsh, Managing Director and Co-founder, OMFIF calls in to question the wisdom of Theresa May calling a general election. 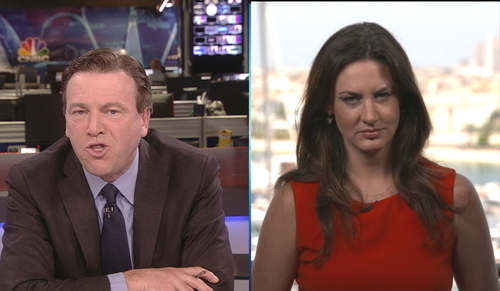 Marsh says both the leader of the Conservative and Labour parties could be changed after the election. 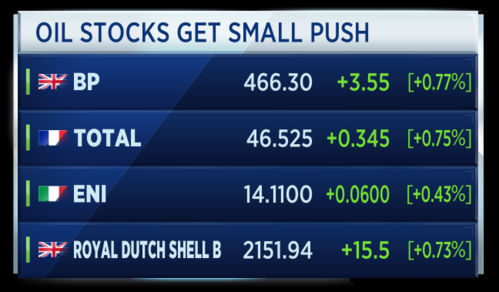 Oil stocks are getting a bid this morning on the back of that slightly higher oil price. It should be noted those oil-related companies across Europe have struggled in the last few weeks. 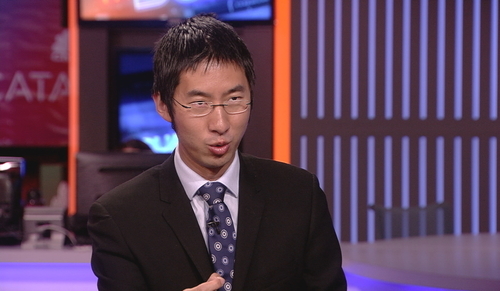 On set, Geoffrey Yu says his clients will look at the geopolitics of the Middle East and struggle to see where the upside story is for the oil price. Geoffrey Yu, Head of the U.K. Investment Office at UBS Wealth Management says data for the United Kingdom is as yet a touch unclear. 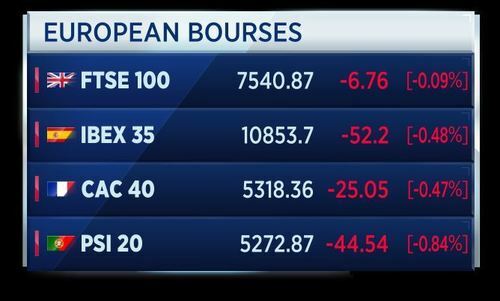 He says the risk is to the upside for Britain as most onlookers expect to see sluggish data for the country. 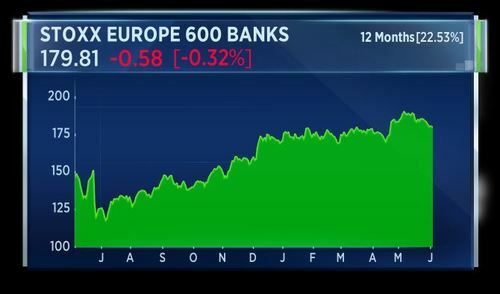 Yu expects the Bank of England will stay defensive in its outlook for the household sector. London Police chief says the three recent attacks in the UK have had foreign dimensions. The chief in an interview on BBC Radio says the country seem to be facing a terror threat that is largely domestic.That's according to Reuters. The Spanish services PMI for May has come in at 57.3 which marks a slight tailing off from the 57.78 figure recorded for April. That is still strong expansion territory though. 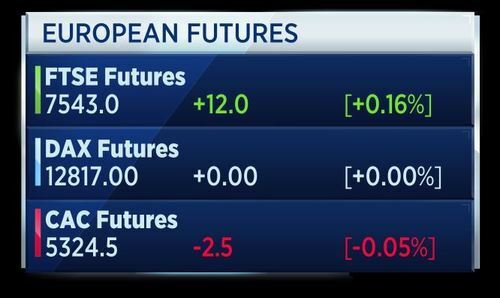 Euro/dollar near flat for the session. 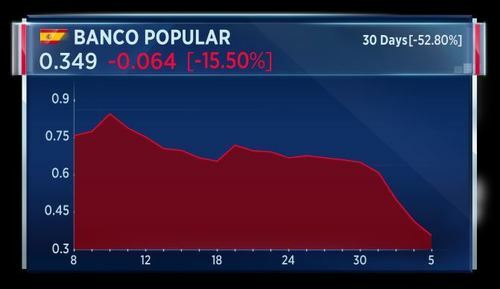 Shares in Banco Popular down 16 percent. The solution for troubled Spanish lender Banco Popular is either a capital raise or a sale, a spokesman for Spain's government said on Friday, adding that it was not worried about the situation. 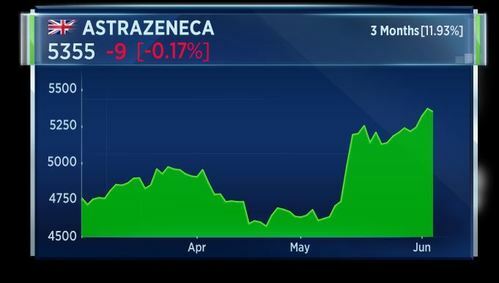 (Popular) passed its stress tests ... it is in the process of a sale or a capital raise, nothing more. Complete calm. We are going to wait for the next steps, Inigo Mendez de Vigo told a news conference. Qatari stocks have fallen more than 8 percent after neighboring Arab nations cut ties with the country. According to Reuters, it marks the biggest fall since December 2009. British ministers arrive for another emergency security meeting at Downing Street as more raids are underway in connection with the terrorist attack that killed 7 people and injured 48. 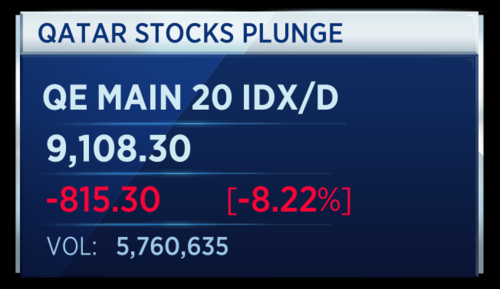 Shares in Doha tumble after four Gulf States led by Saudi Arabia cut diplomatic ties with Qatar, accusing the administration of funding terrorism and meddling in their domestic affairs. President Putin loses his cool in a fiery interview with NBC's Megyn Kelly, saying he does NOT have any compromising material on President Trump. Down and out for Juventus. Shares in the Italian football club sink after it loses 4-1 to Real Madrid in the Champions League final, while over a thousand fans are injured in a stampede in Turin. 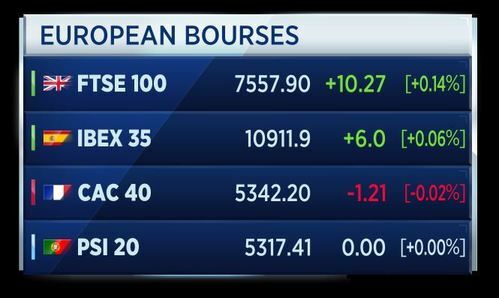 After 30 minutes of trading in a slimmed down Europe, Steve runs through the biggest movers. 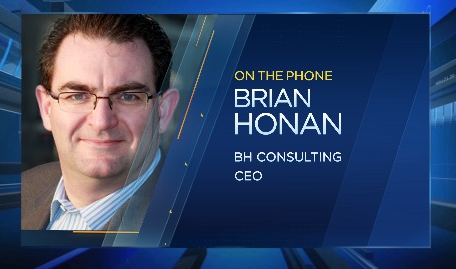 Brian Honan, CEO of BH Consulting joins us on the line from Ireland. He says encryption, which secures all commerce and conversation online, can not safely be made accessible by just one organization such as the security services. Honan says if you create a golden key to access lines of communication, then that is the area that terrorists will exploit as a weakness. Italian service sector growth slowed in May after expanding at its fastest rate in nearly a decade in Aptil. The Market/ADACI Business Activity Index (PMI) for services companies fell to 55.1 from 56.2 the month before, staying well above the 50 mark that separates growth from contraction. That's according to Reuters. French service sector activity gained further momentum in May as new orders kept flowing in and companies stepped up the pace of hiring. Data compiler IHS Markit said its purchasing managers index for France's dominant service sector rose to 57.2 from 56.7 in April, down from a preliminary reading of 58.0. The World Bank expects the global growth rate to accelerate to 2.7 percent in 2017, thanks to rising market confidence and stabilizing prices. 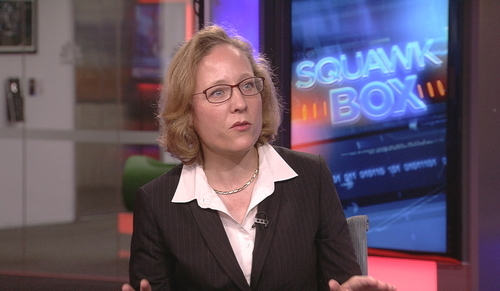 Franziska Ohnsorge, Lead Author of the Global Economic Prospects Group at the World Bank says it is the first time years that the World Bank has not downgraded its forecasts. Ohnsorge is warning though that a resurgence in protectionism could derail this positive momentum. She says the recent rhetoric on rolling back free trade is likely to hurt emerging market countries more readily. 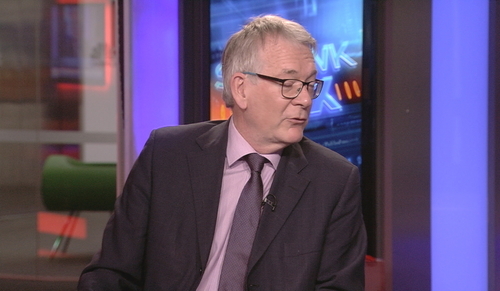 Ohnsorge says in developed economies there is clear evidence of an uptick in investment by firms. She says the private sector, in particular, has seen most of the capital expenditure. Germany's services remained in solid shape in May while humming factory activity propelled overall private sector growth to a six-year high, a survey showed on Monday. Markit's composite PMI, which tracks the manufacturing and services that account for more than two-thirds of the economy, rose to 57.4 from 56.7 in April. That's according to Reuters. Euro zone business activity remained strong in May, underpinned by increasing demand, according to a survey released on Monday, which suggested a pace of growth was putting the economy on a path towards a sustained recovery. Markit's final composite PMI for the euro zone was 56.8 in May, unchanged from both April's index and the May flash estimate. Western governments are widely expected to intensify surveillance measures in the fight against global terrorism, reigniting the age-old debate of balancing civil liberties and national security. The U.K., in particular, could ramp up monitoring of suspected radicals following three separate terror attacks in as many months — Prime Minister Theresa May listed a four-point plan to combat extremism after the militant group known as Islamic State, or ISIS, claimed responsibility for Sunday's attack in central London that killed 7 and wounded 48 people. CNBCThe debate about balancing civil liberties and security is back in focus amid expectations the U.K. will increase surveillance on terror suspects. S&P's Kraemer says UK rating depends on brexit negotiations, not election outcome. That's according to Reuters. Ocado has announced news of an agreement with a regional European retailer to use its ‘Smart Platform’. 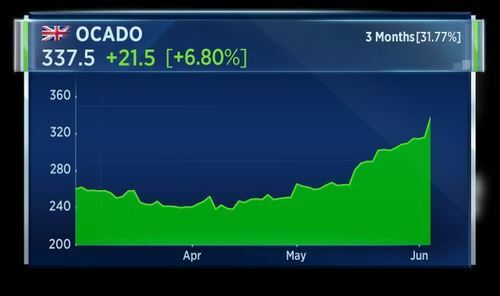 The shares rose over 5% on the news. Its new partner, who has not yet been named, will pay an up-front fee to Ocado for access to its Start Platform technology, together with ongoing fees that are based on the volume of products sold online. Ocado expects this to start boosting the bottom line from 2019 onwards. 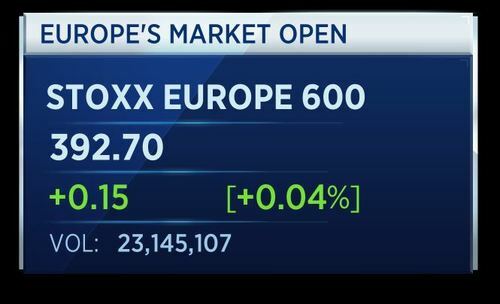 The news that a European retailer has signed on the dotted line is what investors have been waiting for, and is a major fillip for the company. We don’t yet know who this deal is with, or indeed how much it is for, but finally getting a deal over the line is tangible evidence to counter its detractors. That the whirring equipment in Ocado’s distribution centres is a technological wonder has never really been in dispute, but this hasn’t stopped there being plenty of debate around the group’s potential profitability. It might be ahead of its rivals in terms of service, but the fact is that organic growth alone doesn’t justify the shares’ premium price to earnings ratio. The high valuation reflects the potential for the group to licence out its intellectual property to others, which in turn opens up the possibility of raking in chunky royalties year-in-year-out. “As instructed by the UAE government, Emirates will suspend its flights to and from Doha, starting from the morning of 6 June 2017, until further notice. “The last flight from Dubai to Doha will depart as EK847 at 02:30am on 6 June. The last flight from Doha to Dubai will depart as EK848 at 03:50am on 6 June. “Emirates’ flights to and from Doha today (5 June), will operate as normal. Travellers bound for Doha, who are boarding their flight from airports around the Emirates network today (5 June), will be advised to make alternative arrangements. “All customers booked on Emirates’ flights to and from Doha will be provided with alternative options, including full refunds on unused tickets and free rebooking to the nearest alternate Emirates destinations. “For more information, customers can call the Emirates Contact Centre on 600 555555, or visit‎ www.emirates.com. Britain's services grew more slowly than expected last month as businesses put off investment decisions before this week's national elections. The British economy looks as if it has recovered some of its momentum after slowing in the first three months of 2017. Monday's Services PMI fell to a three-month low of 53.8 from 55.8 the month before, at the low end of economists' forecasts in a Reuters poll.